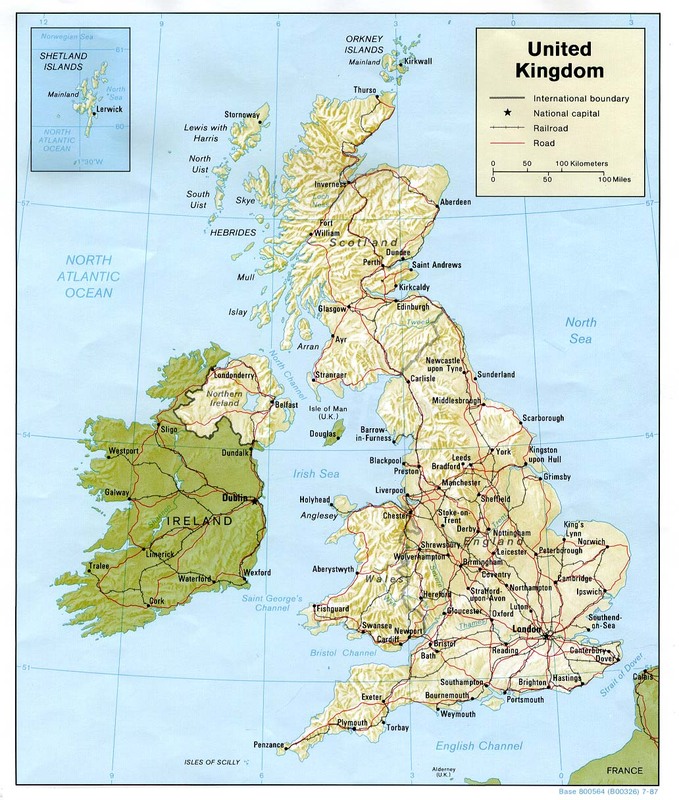 Because Scotland is not a country, most of the maps suggested below are of the United Kingdom, of which Scotland is a part. Roads – Go to MapQuest and enter an address to get a custom map of Scotland. Travel Map – Michelin folding map. Atlas Wall Map – This National Geographic map contains extensive political information, focusing on countries, capitols, and other cities. Political boundaries are presented very clearly, with different color-bands for each country. Click here for all Scotland map products – Maps.com! Scotland, a political division of Great Britain, covers 30,414 square miles, making up the northern portion of the island of Great Britain and many surrounding islands. 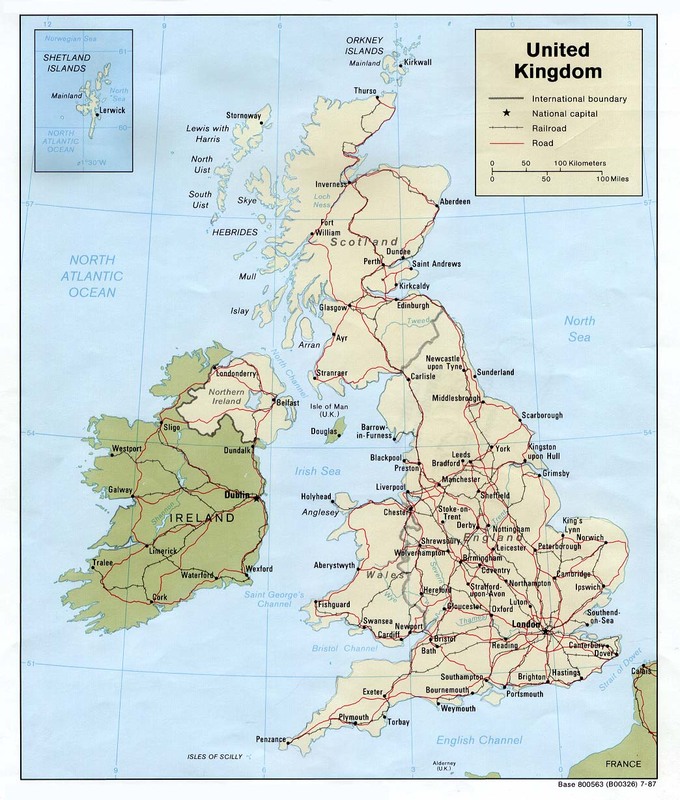 Scotland, England, and Wales have been united since 1707 under the name of the United Kingdom of Great Britain. They share a national parliament but Scotland has its own system of laws, banking, and education. Scotland has three main geographical regions: the southern uplands, the central lowlands, and the Highlands of the north, a rough, mountainous area which is the location of Ben Nevis. 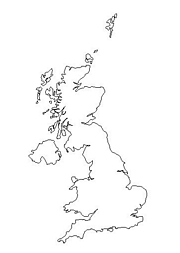 At 4,406 feet, it is the highest peak in Great Britain. The climate is temperate, modified by the North Atlantic Current. It has mild winters, cool summers, and is consistently humid. The population of Scotland is 5,111,000 (1992 estimate). While the established Church of Scotland is Presbyterian, there are no restrictions on religious liberty. English is the nearly universal language, however, a small group of people in the north still speak only Gaelic. Approximately 80,000 people speak both Gaelic and English. Once Scotland’s most important mineral resource, coal’s importance has declined. Oil gained significance in Scotland’s economy during the 1970s with the growth of North Sea oil extraction companies. Natural gas is also abundant in the North Sea fields. Other major industries are fishing, textile production, and distilling.